Chilam Cheung (張智霖), who is a devout Buddhist, attended the anniversary and exhibition event for Thrangu Vajrayana Buddhist Centre and shared he participates in Buddhist activities as much as possible when he has free time. The actor also revealed he thought of becoming a short-term monk before. 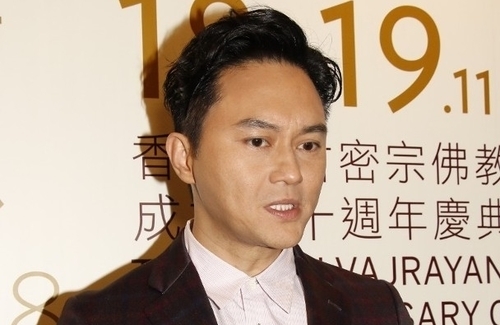 Chilam also shared Morton is already 12-years-old now, and they are starting to feel more like brothers than father and son. Can’t blame him.Coping with a wife like Anita Yuen for many years would make anyone want to become a monk. Only joking….